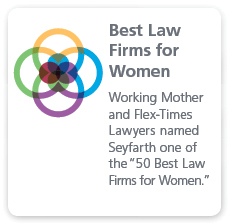 Seyfarth Shaw LLP combines its nationally recognized health law and M&A practices to guide clients through the unique legal and regulatory nuances affecting transactions in the health care industry. Our lawyers have experience in health care mergers, acquisitions, sales and affiliations across a range of providers—including non-profit and for-profit hospital organizations, regional health care systems, physician groups, specialized health care centers, and industry service providers. We have been involved in such diverse transactions as the merger of two of the largest women’s healthcare systems in Illinois and the consolidation of 25 physician practices to form the largest gastroenterology practice in Houston. Drawing upon the transactional experience of our M&A lawyers and the regulatory experience of our health law lawyers, we counsel clients through the unique issues impacting transactions in the industry—from certificate of need, Medicare and Medicaid, and HIPAA, to transition and administrative services agreements, medical records, employment and consulting agreements, non-competition provisions, licensing arrangements, supply agreements and clinical integration. 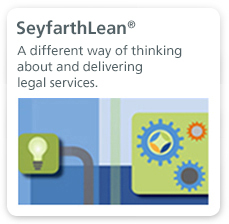 Through our market-leading SeyfarthLean® approach, we use innovative technology to increase efficiency and improve communication throughout our clients’ M&A transactions, resulting in meaningful reductions of overall costs and enhanced client service. 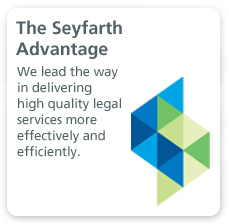 By applying Agile project management and Seyfarth’s award-winning SeyfarthLink technology to health care M&A transactions, we can more efficiently manage the constantly changing issues and priorities arising in a transaction, better manage negotiations and ultimately increase efficiency in closing the deal.